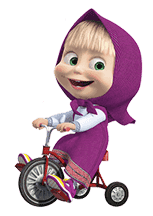 http://www.line-stickers.com/ – Masha and the Bear Line Sticker | Meet the heroes from the most popular Russian animation series for families, “Masha and the Bear.” Available till July 16, 2015. Publisher : Masha and the Bear Ltd. Previous post Pandaluv’s Chinese New Year!